Denboba is a Senior Public Health Practitioner with an extensive Public and Clinical Nursing background. He has attained MSc in International Health (UK) and Diploma in Management from Chartered management institute (UK). He has experience in working with International originations such as WHO/UNICEF at strategic levels when he coordinated the activities of nationally funded projects for lengthy periods. He has also worked for a health and social services affiliated voluntary organization in Edinburgh since 2004. He held the post of President of the National Health Professionals' Association when he was in one of the east African countries and was one of the key players in the said country in developing national policies in the areas of women and children and mental health issues. Denboba has also worked in the capacity of the managing director in a private sector organisation and also in an NGO. He has been involved in the capacity of a board member of various ethnic minority voluntary organizations in Scotland including Africa Centre Scotland, Ethiopian Community Scotland of which he is a founder. He has also been involved in various advocacy groups including the Edinburgh Race Equality Forum, Connections for Development, International Inter-religious group for World Peace, Ethiopian human rights groups and the Pressure group for Global Justice. Denboba Natie can work both at strategic as well as operational levels with utmost proficiency. 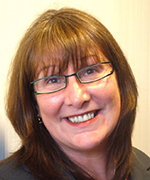 Melanie Vowles has worked continuously within local government for 27 years. She commenced employment in the Planning department as a filing clerk in 1983 and has risen through the ranks to reach the post of Team leader in the Planning Archives section with additional responsibility for committee work preparation and Freedom of Information requests. She also received a customer care award for her work at the public counter of the Planning office. She is an associate member of the Institute of Administrative Management (an organisation that has direct links with students studying a variety of management courses both here and aboard) where she gained an international diploma and certificate in administrative management. She is also the acting treasurer of the local branch based in Edinburgh. She is also a member of the charitable trust which owns and maintains a 17th century style public garden in East Lothian. Mageed is a Senior Statistician with an extensive Statistics and Health background. 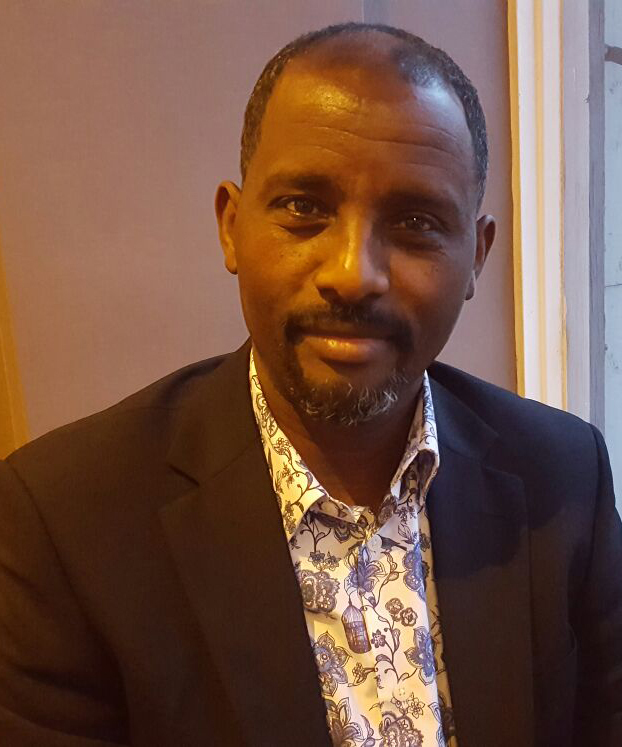 He has attained bachelor's degree in Education Statistics (Iraq), Diploma in Statistical Studies (Khartoum) MSc. in Operation Research (UK). Mageed works as a senior statistician for National Health Service Scotland NHSS. He has been working as statistician for 14 years since 2000. He worked as a statistician for the Sudan government on various departments. He has maintained a strong relationship with LINKnet, Mageed has been involved in the capacity of a Mentor and a mentee and now in the capacity of a board member. He was involved in various ethnic minority voluntary organizations in Scotland including the Sudanese Community Scotland where he held the Treasure's post for sometime. Lynn has a breadth and depth of experience in Human Resources, Learning and Development, Organisational Development, Coaching and Talent Management and she is currently HR Director at Lomond Capital a small but rapidly growing organisation in property and asset management. She has worked at senior levels in high tech manufacturing organisations such as Motorola and Digital Equipment Corporation and within financial services she has worked for HBOS, Lloyds Banking Group and Standard Life. She is an engaging leader with a passion for developing people and organisations to maximise individual potential and business success. Lynn is a Member of the Chartered Institute of Personnel and Development and has a BSc in Social Sciences. She holds qualifications in Coaching (Strathclyde University) and Psychometrics (British Psychological Society) and is licensed to use a variety of psychological testing instruments. She actively supports her local community association in the Old Town of Edinburgh where they have recently taken responsibility for the upkeep of a Patrick Geddes garden and, in addition to Mentoring at Linknet, she does voluntary work for the homeless charity Crisis in Edinburgh. Catherine has nearly 20 years experience working in the public sector. She has completed various courses including a B.A. in Psychology (New Zealand), a Postgraduate Certificate in Counselling Skills (Glasgow), a Certificate in Forensic Medicine and Science (Edinburgh) and a Diploma in Make-Up Artistry (Stockport). Catherine has previously been a mentor for LINKnet and had resumed mentoring prior to becoming a board member. She enjoys learning and helping others. Reka is a qualified accountant working in Fund accounting for the past 9 years with different companies across the UK. She has been working in Edinburgh for the last four years. She comes from Mauritius where she used to work as a teacher in Primary schools first and later in secondary schools. She believes that anyone can achieve their potential if right help and support is provided. With that in mind she joined LINKnet Mentoring as a Mentor. She loves helping people and experiencing different cultures. After graduating from the Universities of Bristol and Toronto in modern languages, I started my career teaching French in schools in Canada and Edinburgh. I then entered education management, my last post being Director of the Scottish Council of Independent Schools. Throughout my career I have worked in education on a professional and voluntary basis, involved in a number of charities at home and abroad. When I left my last post, I re-qualified as a tutor of adult literacy and now work on a voluntary basis as a literacy tutor for Edinburgh City Council and as a trained mentor for ACOSVO. I sit on the Boards of the Carnegie Trust for Scottish Universities, the Institute of Chartered Accountants of Scotland (ICAS) Council and was on the Court of Queen Margaret University until September 2016. I was awarded an OBE in January 2009 for services to education and the voluntary sector. I am the Coordinator of the Scottish Wider Access Programme (SWAP) East. Working with colleges and universities throughout the country, our role is to promote and support access to higher education for adults. In my job, I have developed a keen interest in mentoring,, primarily as a result of setting up the SWAP East mentoring programme in 2016. This made me interested in being a mentor myself, which led me to LINKnet. Mentoring with LINKnet was especially appealing to me as I enjoy meeting people from different parts of the world, having lived, worked and studied in various places, including the Basque Country, Chile, France and Italy. I have a MA (Hons) and an MSC from the University of Edinburgh and a PhD from the University of Leeds.